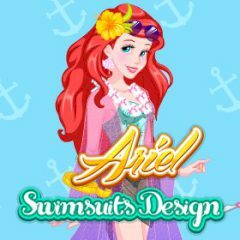 Ariel is the inhabitant of the ocean and she needs a good swimsuit. Can you help her in this issue? Swimsuits is something that every girls wants to have on a beach. Yet, Ariel is the inhabitant of the ocean and she definitely needs one!